That is beautiful in both concept and execution...the video production really seems to do it all justice as well, which is an achievement unto itself! Wow! 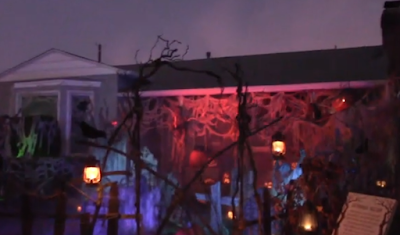 Thank you so much for featuring our yard haunt on your blog! We are huge fans of your work, so it really is an honor to see this pop up here! We are hoping to get some better quality video next season, but wanted to share what we had in the meantime. So glad you enjoyed it! We posted some pretty fun night photos over at grimwoodhollow.com if you'd like to take a peek! Thanks again and stay spooky!